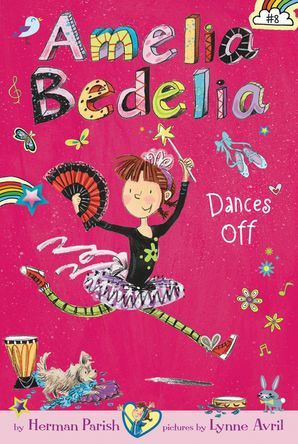 In the eighth chapter book in the New York Times–bestselling series, Amelia Bedelia puts on her dancing shoes and dances up a storm! The Amelia Bedelia chapter books have sold more than one million copies and feature funny family and friendship stories with lots of wordplay just right for fans of Judy Moody and Ivy & Bean. All of Amelia Bedelia's friends love to dance. She has friends who are ballerinas, friends who do modern dance, and friends who tap. But Amelia Bedelia isn't sure what kind of dance is right for her. After all, if she is going to dance to a particular tune, she'd like it to be her own! Amelia Bedelia's funny search for the perfect dance fit involves friends, family, teachers, and pets, and it will have readers dancing on air! The Amelia Bedelia chapter books star Amelia Bedelia as a young girl, are great for building vocabulary, and feature a guide to some of the idioms and expressions introduced in the story.